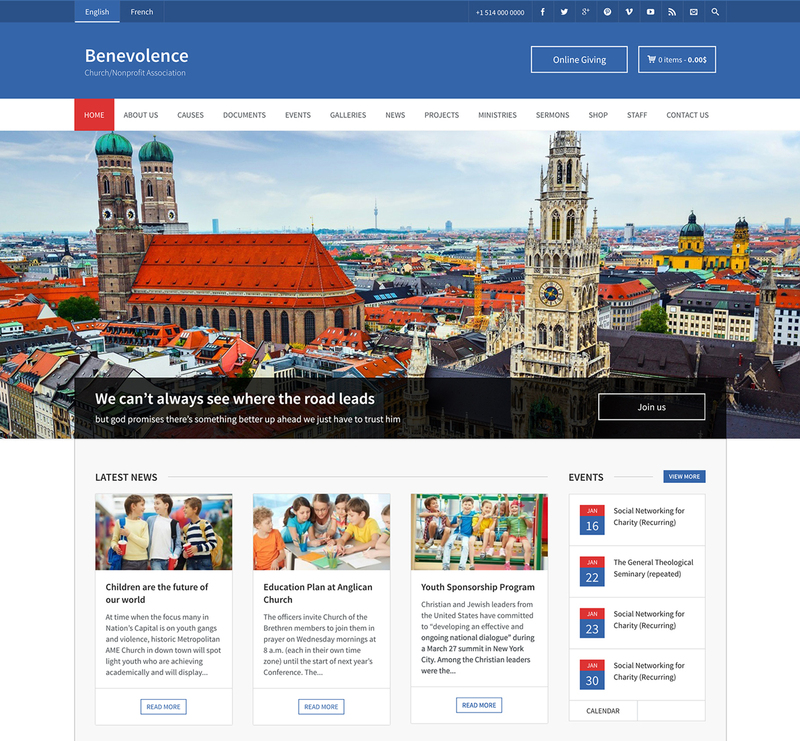 Benevolence is a Premium WordPress Theme perfect for creating a website for Church or Nonprofit Organisations. This interactive theme helps you to Raise funds for a cause, Upload materials and documents, Showcase your projects and events, Have an eye-catching website and Achieve your organization’s goals. Benevolence is a modern and user-friendly nonprofit WordPress theme that will help you to easily and intuitively build a functional and appealing website in minutes. A good user experience, minimalism, and readability are the top qualities needed in church website and Benevolence has them all. Amazingly versatile, this theme provides you with 18 widget areas, 11 Custom Post Types, Unlimited Color Options and a Child Theme. Benevolence is SEO friendly with optimized codes, which means that your Church website will be ranked and indexed in Google and other Search Engines. Besides, it is fully responsive and automatically adapted to the resolution, screen size or device that your visitors use to visit your site. Benevolence has managed to maintain a balance between usability and complexity when it comes to its back-end functionality. With Benevolence theme, it’s easy to turn your website into a fundraising platform for charitable projects by creating appealing donation campaigns to double your funds. The progress bar acts as your visual dashboard where you can track donations and see how far or close you are to achieving your fundraising target. You will receive a notification after every successful transaction. Also, Benevolence WordPress theme gives you the option to enter donations manually. Benevolence theme allows you to inform your visitors and supporters about your active and past projects in a user-friendly way. A project list or grid will highlight an overview of all your projects. Visitors can access further details on each project on individual project pages. You can showcase projects by their status, start and end dates. Your Staff is the backbone of your organization. The Staff section in this beautiful church WordPress theme allows you to present your team to your visitors. You can choose to display all staff members collectively or generate various categories for the different types of staff like Executive Staff, Board Members and Volunteers. Add their respective positions and present their contact info such as Phone Numbers, Blog URLs, Email Addresses and Social Media Links. Benevolence theme has an Event Manager section with categories and upcoming events that will remind your followers about your events. There is no better way to publicize your organization’s events than by using this feature. Benevolence helps you save your time and effort by letting you post recurring events just once. The event/s will repeat every day or week automatically. 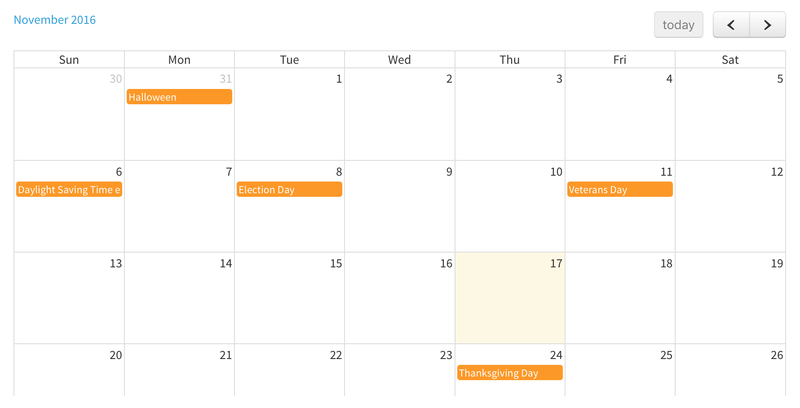 Your visitors can view all your past and upcoming events at a glance or in a calendar format. Publishing Documents in your church website will help to send a straightforward message to your audience, and steer your mission by encouraging your web visitors and congregation to take action. This theme lets you publish Books, Newsletters, Flyers and Annual Reports in various formats well suited to .zip files, eBooks, and PDFs. This makes it easy for important communications and your ideas to reach more people since your visitors can share the documents straight from your website. The built-in sermon management section in this theme allows you to upload sermons in a document, audio, and video formats. Sermons are the best way to communicate with your audience. Simply showcase the sermons in a list or grid format and put them in categories to make it easy for your visitors to navigate. Organize the sermons by speaker, date and category. Benevolence WordPress theme is WooCommerce ready, meaning that you can turn your website into an online store. This way, you can sell any kind of physical or digital product you are able to envision to finance your projects or causes. WooCommerce will help you manage eCommerce processes like Payments, Shipments , and Inventory. The plugin will also give you reports on products and customers. This church theme makes it possible to view all your received donations at a glance. This is made possible by Charts and Graphics that will clearly and creatively display any kind of donation statistic you are looking for. You can choose to view Top causes, All Causes, and Donation Performance Cause. Benevolence theme is endlessly customizable, with terrific advanced theme options that offer lots of possibilities to set your website up the way you like it. Choose from page layouts that include non-profit and church-specific features (Causes, Events, Galleries, Staff, Sermons, Ministries, and Projects) built with your organization in mind. Very happy with WPLook and service. The theme is very beautiful and we get lots of compliments on the look of the website. I purchased Benevolence back in October 2015, and I have been most satisfied with it. I am the Communications Director for a medium-sized urban Episcopal Church, and the Communications Committee were waffling between the theme/DIY approach and going with a total Web site solution service (ecclesia360), and it was the look and features of Benevolence that tipped the decision. I wasn’t certain that I had to purchase the Revolution Slider to make my site look just like the demo–and I could have asked–but I got it anyway, just to have all the extra features. If it is required to make it look like the demo, that should be stated somewhere clearly. I’ve only encountered a few minor bugs so far–honestly far, far less than I’ve encountered in premium themes, and I don’t mean this at all as a veiled criticism. I’ve added quite a few plugins, and Benevolence has played well with them all so far. The feature set is so well thought out and implemented, and I would absolutely recommend this theme to any other church Webmasters. This theme is beyond awesome. I love the flexibility, the features, Design quality is out of this world. It’s so crisp. And as though that isn’t enough, customer support is outstanding. LOVE IT!!!!! This is a fantastic theme. It simplifies management of all the types of pages a church might need to create. Support is very quick and friendly. On top of all this, the theme is beautiful. I’m so glad I came across this theme. Thanks! Excellent coding… and SUPERIOR support! This is one of the best website I’ve worked with. Easy to work with and the support team was fast to answer. I highly recommend WPlook as a web team to buy from. The template is very nice graphically customizable in every detail and support is always great and on time. Always listening and understanding… love it, they always provide me anything that I’m asking about this themes, even if it’s out of scope. Thank you very much. Quick response from the support group. Thank you. Support and theme are great!